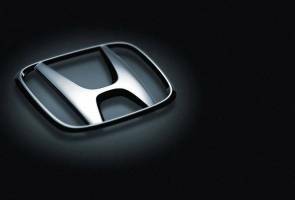 BANGKOK: Automotive giant, Honda, reinforced its number one position in Thailand's passenger car market with 107,342 units sold in 2016 including Honda BR-V, HR-V and CR-V.
Honda's market share in the country rose to 32.7 per cent from 31.6 per cent in 2015, which made the company the champion for passenger car market for two consecutive years. "In 2017, Honda remains determined to introduce a strong lineup of innovative automobiles beginning with The New Honda City, a popular subcompact car with the highest sales in the subcompact segment," Honda Automobile (Thailand) Co. Ltd Chief Operating Officer Pitak Pruittisarikorn said in a statement today. He said the company would launch many new models this year to serve all lifestyles and stands ready to leverage its service to the next level to ensure the highest customer satisfaction. Honda would continue to create and deliver the best value for its customer and Thai society, reinforcing its committment to being a company that society wants to exist, said Pitak. Total passenger car sales in Thailand in 2016 were 328,053 units which was 7.9 per cent lower than the total sales of 356,065 units in the previous year.